PlayPenn is proud to share that Leonard Haas and the Wyncote Foundation have established the Haas Fellows program. This program recognizes Mr. Haas’s position as a singularly devoted and generous Philadelphia philanthropist. His forward-thinking commitment to the arts– and to the theater, in particular – is unparalleled and has resulted in a rich, lively theater community that exists largely as a direct result of his focused generosity. Wyncote’s support of the Haas Fellows program will allow PlayPenn to strengthen its role developing great works for the American theater while ensuring that the Haas name is linked to exceptional artists for years to come. Starting in 2019, the six invited Conference playwrights will be the first group of writers to carry the Haas Fellow designation. As a result of this substantial support from the Wyncote Foundation, Haas Fellows will have their stipends nearly doubled. Wyncote Foundation support will also memorialize PlayPenn’s commitment to free and open access, ensuring that the application policy remain free of charge to playwrights. 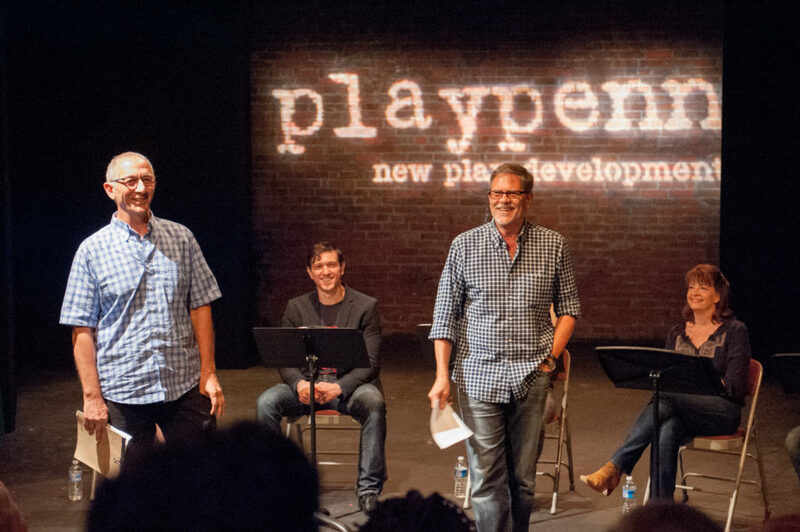 Over the past 15 years, PlayPenn playwrights have won the Tony Award, Obie Award, Macarthur Fellowship “Genius” Grant, Guggenheim Fellowships, The Lily Award for Playwriting, the Pew Fellowship, the Susan Smith Blackburn Prize, the Barrymore Award, and more. Now future recognition will include this Haas Fellow distinction, an accolade that will only grow in stature over time. Support from the Wyncote Foundation will also enable PlayPenn to devote increased resources to all Conference activities and to allocate additional general operating funds towards staff compensation, ensuring continuity of an excellent and established team committed to the company’s mission and practice of supporting the development of new plays and playwrights for the American theatre. "From PlayPenn’s inception, Leonard Haas and the Wyncote Foundation have been instrumental and committed supporters of our work. As we approached our 15th anniversary season, it seemed fitting to me that, after the success of so many plays whose development we have supported over the years, that Leonard, the Haas name and the Wyncote Foundation should be forever associated with our success from here on out. "